As global demands for food, chemicals, materials, and energy grows we need to find new and sustainable sources for these products. Industrial Biotechnology for the Bioeconomy is focussed on the development and use of biological processes or resources for the sustainable and efficient production of food, fuels and chemicals. Just as microbial fermentation of penicillin transformed antibiotics, bioeconomy research could revolutionise the our understanding of chemical and biological processes. 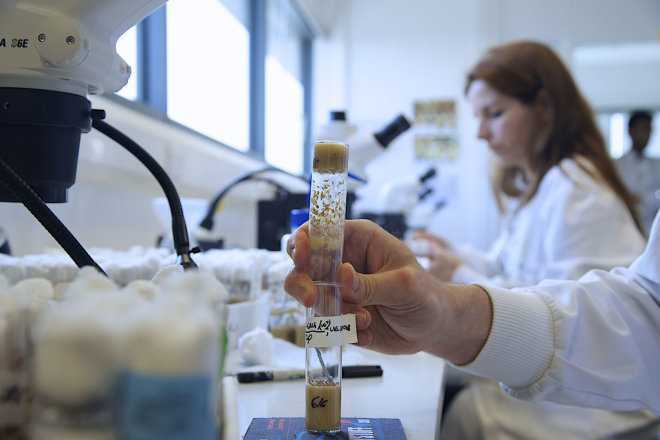 The UK Bioeconomy is estimated to be worth over £150bn gross and generates over 4 million jobs. The North accounts for 25% of all upstream impacts of the UK bioeconomy and is richly endowed with bio-related businesses, ranging from the cluster of process industries surrounding the Centre for Process Innovation in the North-East to the Speke Biocorridor in the North-West. Extracting value from waste – Cost-effective methods for converting food or other wastes to energy and other high-value chemicals are being developed. Synthetic Biology – Enabling the engineering of biological systems to perform new functions in a modular, reliable and predictable way. For example, biopharmaceuticals are commonly made using synthetic biology, and now account for 20% of medicines on the market. Sustainability – The UK has committed by 2020 to generating 15% of energy from renewable sources as well as reducing greenhouse gas emissions by 34%. To achieve these goals we need to develop new sources of clean energy through sustainable and efficient processes. The N8 universities are leaders in 8 of the 13 Networks in Industrial Biotechnology and Bioenergy that were formed by BBSRC to foster collaboration between academia, industry, policy makers and NGOs. 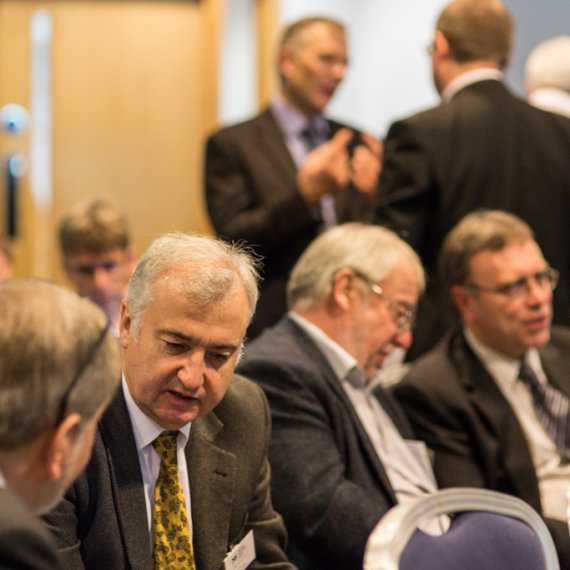 The networks propose to find new approaches to tackle research challenges, translate research and deliver key benefits with each network having a particular focus area, mainly within the UK, but with interest to build international links. Network in Biocatalyst Discovery, Development and Scale-Up (Biocatnet) – Providing access to a biocatalysts through discovery, screening, development, optimisation, and scale-up. Bioprocessing Network (BioProNET) – addressing challenges in bioprocessing and non-therapeutic (e.g. diagnostics, drug screening, crystallization/structural studies) biologics. Crossing biological membranes (CBMNet) – understanding the mechanisms of transportation into, within, and out of cell factories to develop technologies to overcome yield restrictions due to inefficient transport . High Value Chemicals from Plants Network (HVCfP) – identifying novel products, and optimising and developing feedstocks and processes covering the entire discovery, development and delivery chain for high value chemicals. Glycoscience Tools for Biotechnology and Bioenergy (IBCarb) – Exploring novel applications for carbohydrates in biomaterials, energy, food and health to develop sustainable biotechnologies and reduce GHG emissions. Lignocellulosic Biorefinery Network (LBNet) – Lignocellulosic biomass is a rich source of fixed carbon as well as less abundant chemicals and polymers including sterols, waxes and fatty acids, and could provide access to a wide range of bulk and speciality chemicals that can serve as the basis for producing most of the products we currently obtain from petroleum. Metals in Biology: The elements of Biotechnology and Bioenergy – Engineering metal-supply inside microorganisms, plants and animal cells will be vital for many processes including bio-energy production, environmental bioremediation, biomedicine and synthesis of high value industrial feed-stocks. Natural Products Discovery and Bioengineering Network (NPRONET) – Integrating genomics data and systems/synthetic biology tools to discover new natural products and to guide the bioengineering of natural product scaffolds for therapeutic, agricultural and other applications. In 2013, N8 hosted an Industry Innovation Forum, focussed on Industrial Biotechnology, with academics from the N8 universities and more than 30 industrial scientists and senior biotech business leaders to identify strategic collaborations to accelerate new ideas and new opportunities in this crucial area. See link below. Bioanalysis and Bioanalytical Techniques are a discipline of Analytical Chemistry that are particularly relevant to biological molecules and the processes involved in biotechnology. Coalesce researchers together as an expert community. Provide training opportunities with industrial involvement in both training provision and potential students. Provide a basis for a bid for international training support. This proposal is currently under development and if you wish to be involved please get in touch.